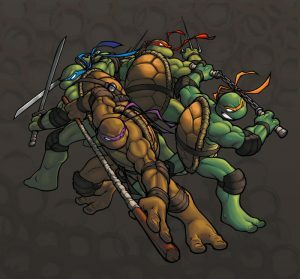 As brothers, the Turtles are excellent at working as a team. They can select team benefits, including the following that are more closely linked to how they operate in the comics and on screen. Turtle Power: +1 to melee attacks and +1 to defense rolls for the rest of the combat encounter. 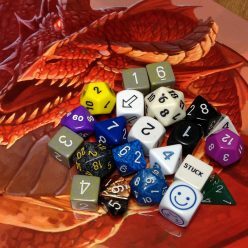 I Love Being A Turtle: +3 to any die roll to befriend, intimidate, or research, usable on one die roll.